Once the reserve of the older generation with a reputation for fusty onboard dinners and cheesy entertainment, cruising is enjoying something of a renaissance with younger travellers thanks to new sophisticated ships, gourmet dining and more exotic routes than ever before. According to Cruise Lines International Association (CLIA), the numbers of worldwide cruise passengers has steadily increased since 2009, with 28 million passengers expected to travel in 2018 compared to 26.7 million in 2017. The benefits of cruising are undeniable. Independently arranging a multi-stop trip can be costly and stressful, with flights, transfers and accommodation to consider. A cruise offers the chance to optimize vacation time with stops in multiple destinations, meaning guests can simply relax and enjoy the facilities onboard whilst in transit. Plus, dining and entertainment is all provided onboard in one neat little fuss-free package – and the millennial generation is starting to take notice. Far from the uninspiring buffet spreads of the old days, ships are serving up increasingly distinguished cuisine with world-class chefs such as Nobu’s Nobuyuki Matsuhisa and Jamie Oliver having a hand in the menus. Royal Caribbean’s Ovation of the Seas boasts 15 different dining destinations onboard, serving everything from Italian fare by Jamie Oliver to fresh Japanese sushi and sashimi. Dedicated foodies can even treat themselves to a private epicurean experience of five delicious courses paired with fine wines at Chef’s Table, the ship’s formal restaurant where the Chef de Cuisine presents each dish with a discourse on how it was prepared. Another gastronomical highlight onboard is Wonderland, which serves up the most artistic and imaginative, Alice-in-Wonderland-inspired dishes that almost look too good to eat. Today, cruise ships have evolved beyond ‘hotels-at-sea’ to boast increasingly impressive experiences. Onboard the high-tech Ovation of the Seas is a Bionic Bar® by Makr Shakr – where two robotic bartenders mix cocktails ordered via a tablet located nearby – a 40-foot-long surf simulator, the North Star® observation pod which elevates guests 300 feet above sea level for panoramic views and the RipCord® by iFLY® skydiving simulator. ‘At sea’ days are no longer a hindrance and can actually become some of the most memorable of the trip. “The average age of our guests is falling across our local Royal Caribbean ships, dropping from approximately 48 years to 44 years in the last three years,” says Cameron Mannix, a Key Account Manager for Royal Caribbean International. “We can thank the modernity, innovation and size of our ships appealing to a wide market for this drop. With size, comes choice. Whether you want to do it all, or relax and do nothing at all, there’s an immense range of options on our megaliners, to suit a vast range of tastes. The tired cruise paths of old have also had their day. 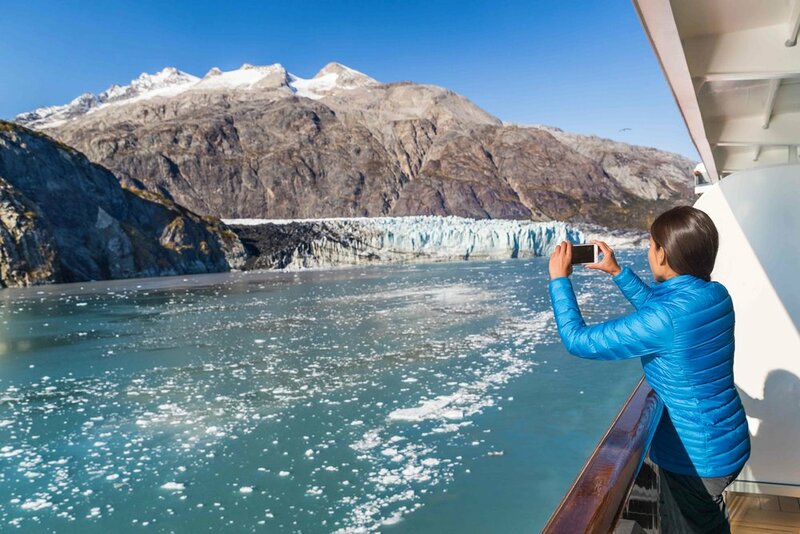 Destinations such as the Inside Passage of Alaska, the Seychelles, Albania and Papau New Guinea have all found their way onto international cruise itineraries, satisfying intrepid travellers who are looking for increasingly exotic and Instagram-worthy destinations. Cruising is no longer one-size-fits-all. There’s a ship to suit every budget and taste, from boutique boats to colossal liners with the full works. A broader range of demographics is also travelling, with CLIA predicting the rise of millennials and ‘skip-gen’ travellers (grandparents travelling with grandchildren) taking to the seas along with tailored trips for health-conscious travellers. Dedicated LGBTQI cruises, comedy cruises, gastronomy cruises and ‘young’ river cruises from the likes of U by Uniworld are making cruising appealing to a wider range of markets. With a raft of exciting new ships coming to the market in 2018, including Royal Caribbean’s Symphony of the Seas – complete with glow-in-the-dark laser tag and the tallest slide at sea – there’s no better time to cast away.